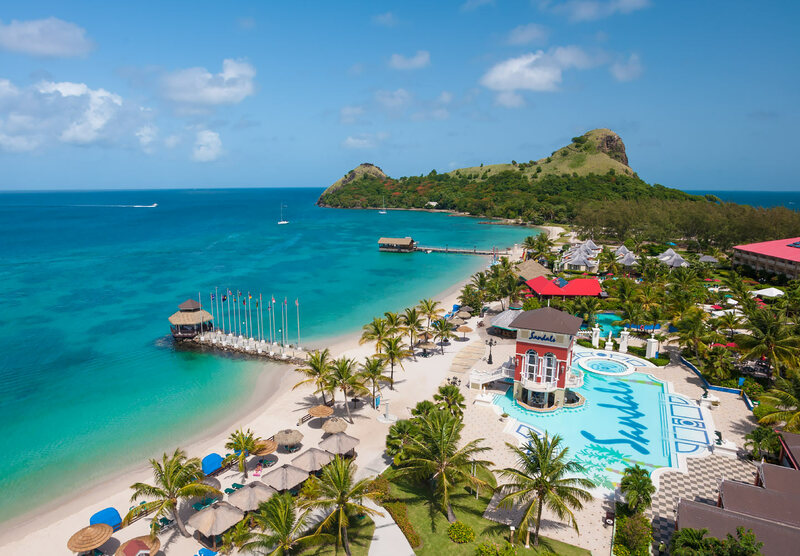 Set on its own peninsula on the northern tip of St. Lucia, this is the largest and busiest of three Sandals properties on the island. It’s a favorite for destination weddings and honeymoons, with panoramic views of volcanic mountains, romantic Rondoval suites with private plunge pools, and an overwater chapel for exchanging vows. Book this resort for the Sandals exchange program, which allows use of all amenities at nearby Sandals Halcyon Beach and Sandals Regency La Toc, with complimentary shuttle between the resorts and access to 23 restaurants, and additional bars, pools, and activities. Rondoval suites, the popular Tahitian-like bungalows found at many Sandals resorts, are just steps away from the beach and feature private patios with plunge pool, whirlpool, hammock, dining area, and outdoor grotto shower. 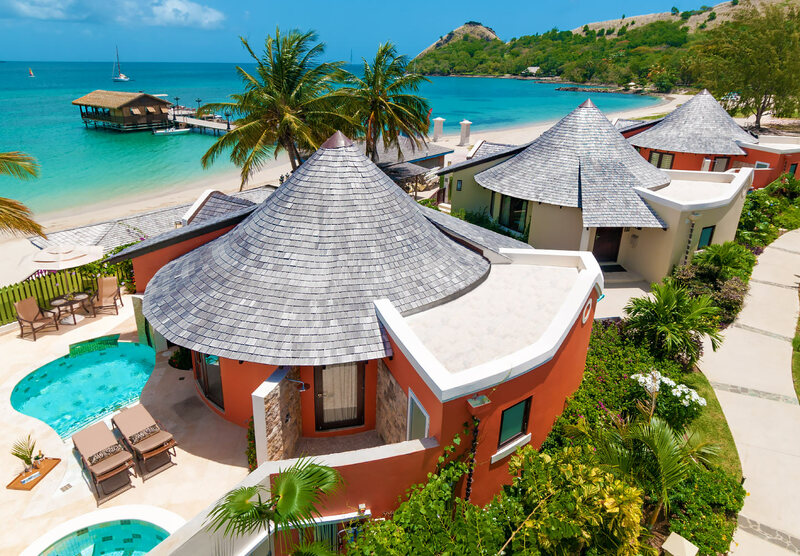 Sandals Grande St. Lucian now features the brand’s popular over-the-water bungalows, also found at Sandals South Coast and Sandals Royal Caribbean (both in Jamaica). There are 12 restaurants onsite, including: The Mariner, a casual seaside grill perfect for happy hour; Gordon’s, an upscale, white-glove restaurant located on a pier (included for guests in Butler categories); a british-style pub; and a gourmet creperie serving authentic French crepes and desserts. 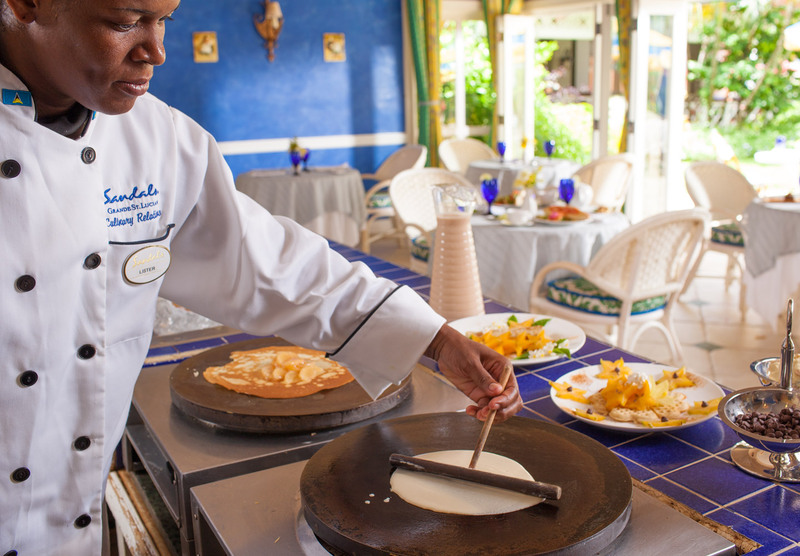 Plus, guests can dine at the other two Sandals resorts on St. Lucia, with free shuttle included. In 2016, Sandals added three new popular dining venues: Bombay Club for Indian food, Soy sushi restaurant, and Kimonos, serving Japanese cuisine. Perched on its own peninsula, the resort sits between the Caribbean Sea and Rodney Bay, home to the calmest waters on St. Lucia. The surrounding landscape is dotted with dramatic hills and volcanoes, and at the very tip of the peninsula is the historic Fort Rodney, a holdout during Britain’s 150-year war with the French.